"We were so fortunate to have Richard in our life. 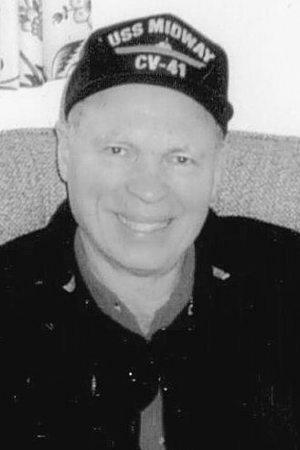 He was a..."
"May God's words at Psalms 9:9 bring you much peace and..."
SOUTH PORTLAND - Richard S. Buchanan, 86, of Carignan Avenue, died Wednesday, Jan. 30, 2019, at Seaside Nursing Center, following a long and courageous battle with Parkinson's disease. Richard was born in Green Bay, Wis. on Jan. 21, 1933, the son of the late John and Martha (Mollenhauer) Buchanan. He graduated from Edison High School in Miami, Fla. and earned his bachelor's degree from the University of Florida, in Gainesville. Richard enlisted and served in the United States Navy and then made a lifelong career as a Merchant Marine, from which he retired. In his spare time, he enjoyed swimming, sailing, ballroom dancing, and photography. He was a longtime member of the Portland Yacht Club and enjoyed spending time sailboat racing with his daughter, Rendy. Richard was a very loving, caring, generous, family man, who through his years of battling Parkinson's disease, was never one to complain. He maintained a joyful, energetic, and positive attitude throughout his entire life, and always had an adventurous spirit. He is survived by his wife, Gloria Buchanan of South Portland; two daughters, Rendy Buchanan McDonnell of Ormond Beach, Fla., and Bonnie Buchanan Baker of Auburn, Ky.; a sister, Mary Morehouse of Burlington, Vt.; three grandsons, Scott, Jack, and Brian McDonnell of Ormond Beach, Fla.; nieces, Marcy Weiner of Corneleus, N.C., Holly Morehouse of Burlington, Vt., nephew, Gary Scott Morehouse of Sylva, N.C., niece, Lisa Fasfulo of Biddeford and joined in heaven by a great-nephew, Nicholas Demeule.